Imagine entering your Troy business or waking up in your home to freezing indoor temperatures. This could be a possibility if you do not have your heating equipment properly inspected and maintained before the beginning of winter. Having your furnace, boiler or heat pump inspected for broken or worn parts and changing out your air filter can help your heating equipment function properly all winter long. We even recommend yearly maintenance for tanked and tankless water heaters. If your HVAC system does happen to fail or malfunction this winter, our HVAC technicians, serving Troy, can quickly determine the causes of the loss of performance or failure and repair your system. If you decide you need a new unit, we can install it so that you can continue to enjoy comfortable indoor temperatures. Here at AirDuct Clean, serving Troy, we can handle all of your furnace, boiler, heat pump and water heater needs. Our HVAC technicians are familiar with commercial and residential heating equipment. We can perform general maintenance, including cleaning your unit and changing the air filter while looking for parts that are nearing the end of their useful lives. 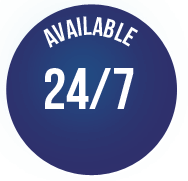 We can perform emergency repairs when your system isn't operating correctly or fails completely, and we can install new furnaces, boilers, heat pumps and water heaters when your heating equipment nears the end of its useful life. By scheduling regular preventative maintenance and having your HVAC equipment repaired in a timely manner, you are helping to extend its useful life, preventing harmful indoor air pollutants, like carbon monoxide and excess dust, keeping your warranty valid and helping lower your monthly electricity or gas bills. Regular maintenance and repair services for your home or business heating equipment is essential for ensuring the safe operation of your equipment and preventing complete HVAC system failures. Our HVAC technicians can perform all the preventative maintenance on your furnace, heater, boiler, heat pump and water heater. Preventative maintenance is the first line of defense against a winter breakdown of your heating equipment. Occasionally, even with regular maintenance, you may still need repair services on your Troy heating equipment. Our repair service is designed to quickly send an HVAC technician to your home or business in order to thoroughly diagnose the problem with your HVAC system. Once the problem has been identified, you will be informed and your questions will be answered. Then, we will replace the part so that you can continue to operate your heating equipment. 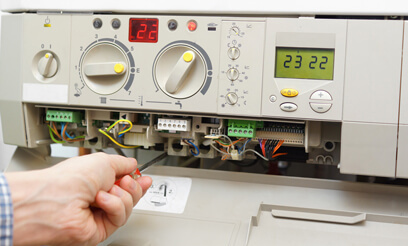 Since most heating equipment is designed to last up to 15 years, you may notice an increase in your repair bills as your system ages. 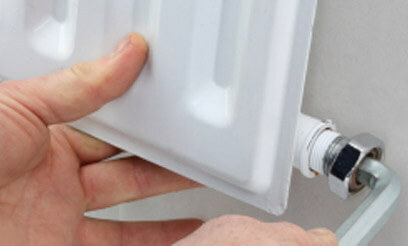 This is a sign that your heating equipment is nearing the end of its useful life and should be replaced. Our HVAC technicians can evaluate your heating needs along with the square footage of your home and business and recommend a furnace, boiler or heat pump that will meet your needs while providing you with the energy efficiency you demand. Once you choose a unit, we will install it in a timely manner. Why Do You Need Troy Heating Services? Very professional and friendly staff. The two gentlemen that cleaned my air ducts did a walkthrough before starting the job and explained to me the whole process. They were quick and thorough and sent me before and after pictures promptly. Thank you! Sam & Ron did an excellent job cleaning our vents and would highly recommend them to anyone. They were very nice and professional and the before and after pictures really gave you an understanding on their work.